Don't worry. You can get all the nutrition you need while still living your vegetarian lifestyle and participating in sports. You are not required to make sacrifices in your diet just because you don't want to eat meat. In fact, you might actually find that a vegetarian diet is extremely conducive to allowing you to participate in sports because the nutrition you will find in vegetables, fruits, and grains will actually give you more energy. The first thing you need to remember is that you must eat before a workout so that your body can begin to process the food and give you the nutritional requirements you need to sustain a heavy work out and be able to have enough energy to participate in the sports that you like to do. That means that vegetarians must get a lot of carbohydrates before they play sports and then let the nutrition that is contained in those carb loaded foods work for you. You will also need to eat a good vegetarian meal after you are done participating in sports so that you can replenish the nutrition that is naturally lost through sweat during your workout. However, you will want to avoid carbs as much as possible in this meal since carbs can easily be converted into fat and actually negate all of the benefits you have just given yourself. 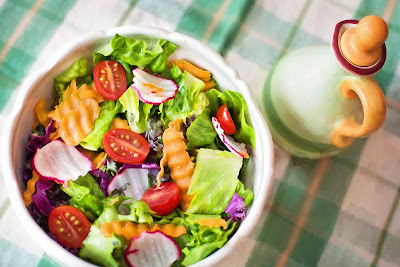 If you are heavily involved in sports and you are a lacto-vegetarian, we recommend that you get a large number of nuts and grains which are filled with carbohydrates as well as a lot of fruits that can give your body some highly needed water that will eventually be sweated out during your sports workout. Athletes who are vegetarians often worry about their nutrition since participating in sports is so important to keeping them fit. All they really need to remember is that the body needs certain vitamins and minerals to function correctly. That's where research comes into play. Ask some of your vegetarian friends what they do before they play sports so that their nutrition doesn't suffer. Look online for suggestions about what you can do to get the most nutrition from your vegetarian diet before playing sports. Read books and ask your doctor along the way if you are worried about nutrition as a vegetarian who participates heavily in sports. The old saying is that you can never have too much information, so seek out what is there for you and then take heed. It will all be worth it in the end!